Since August, the Ebola virus has been present in Beni. The United Methodist Church has more than seven thousand members (men, women, youth) in this part of the country. 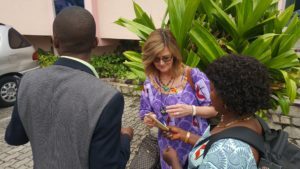 The Congolese Government, with partners such as WHO, MSF and others, is stepping up its efforts to curb the spread of this disease, which has already killed more than 40 people in this part of the country since its inception. The United Methodist Church as a partner also of the Congolese Government has not sat idly by. Bishop Gabriel Unda, who is the Bishop of the Eastern Congo Episcopal Region, is working to educate the surrounding communities on the fight against this disease. With the support of Harper Hill Global, the United Methodist Church (via the messaging system UMConnect) raises awareness in the Eastern part of the country by sending messages on the fight against this disease, comfort and peace. 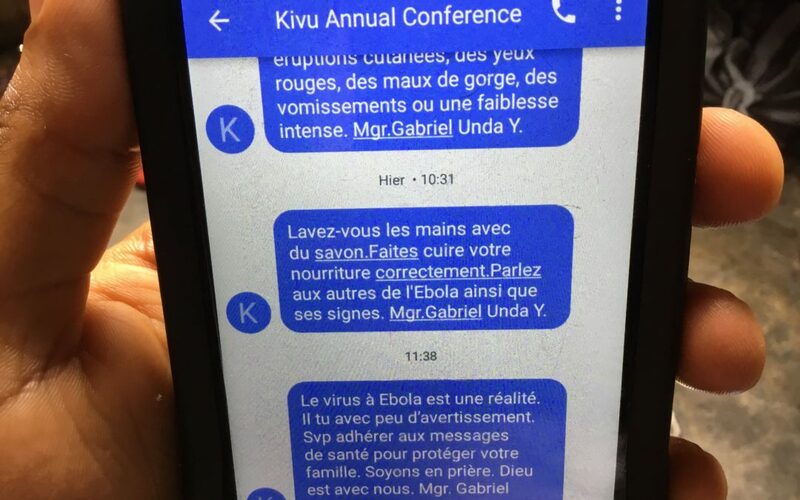 It should be noted that on August 1, 2018, there were killings of the population by armed men (ADF rebels) who attacked the populations in this zone where the Ebola virus is raging, which even provoked the cessation of intervention of some partners like WHO in the management of the Ebola cases in Beni. According to the DS of Beni Rev. Ezechiel Mathe: “We are very concerned about this situation because in Ndindi where the Ebola disease has occurred, we have more than five local churches and have already lost more than five members of the United Methodist Church. Philippe Lolonga is Correspondent of Harper Hill Global in Kivu. 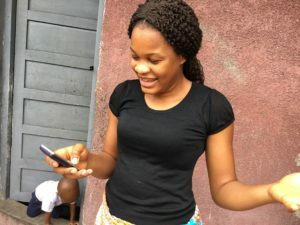 Since May 2018, Harper Hill Global has provided over $2,000 in grants that distribute Ebola prevention messages through television, radio, text messaging and WhatsApp delivery. Help us increase access to lifesaving information.Give now. Read more.